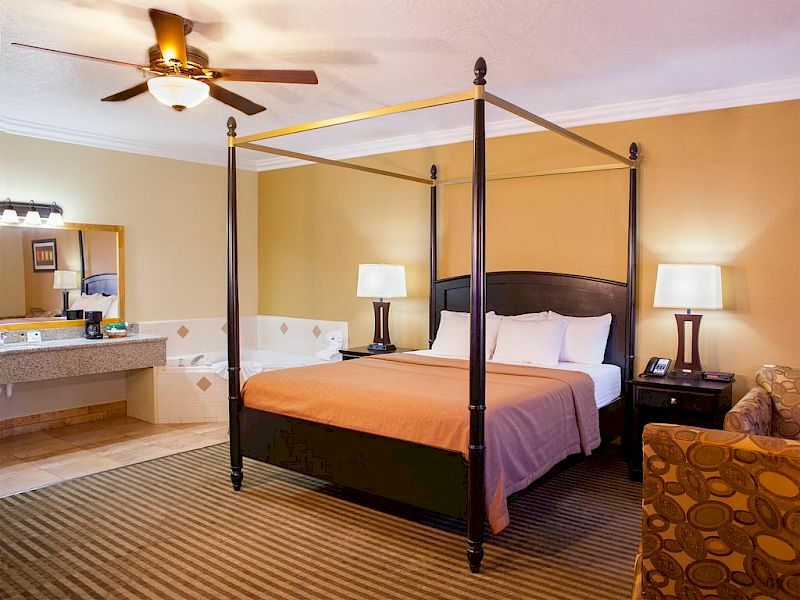 Desert Quail Inn offers weary travelers 40 clean and relaxing rooms featuring a wide array of smart amenities like free WiFi mini-fridge, microwave, coffee maker, air conditioning, soft sheets, plush towels, and upgraded toiletries. Plus, each of our rooms and suites are well-appointed with stylish decor inspired by the desert. 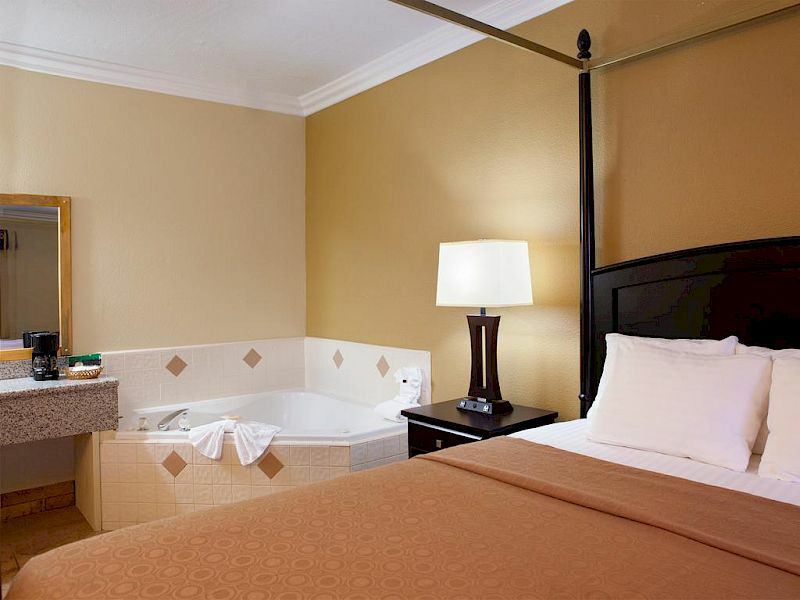 The perfect combination of comfort and convenience, our King Rooms are designed for a relaxing and worry-free stay. The perfect room for guests traveling with friends or family, these rooms feature two comfortable queen beds with deluxe linens and comfy pillows. 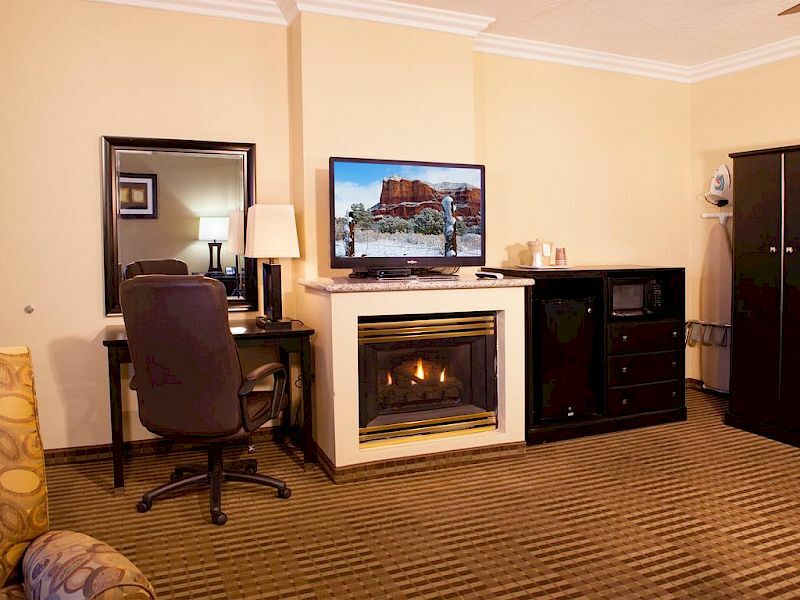 Upgrade your stay to our one King Bed featuring one comfortable king bed, pull-out sleeper sofa, and cozy fireplace. Upgrade your stay to our deluxe King Suite featuring one comfortable king bed, sofa,in-room jacuzzi, and cozy fireplace. 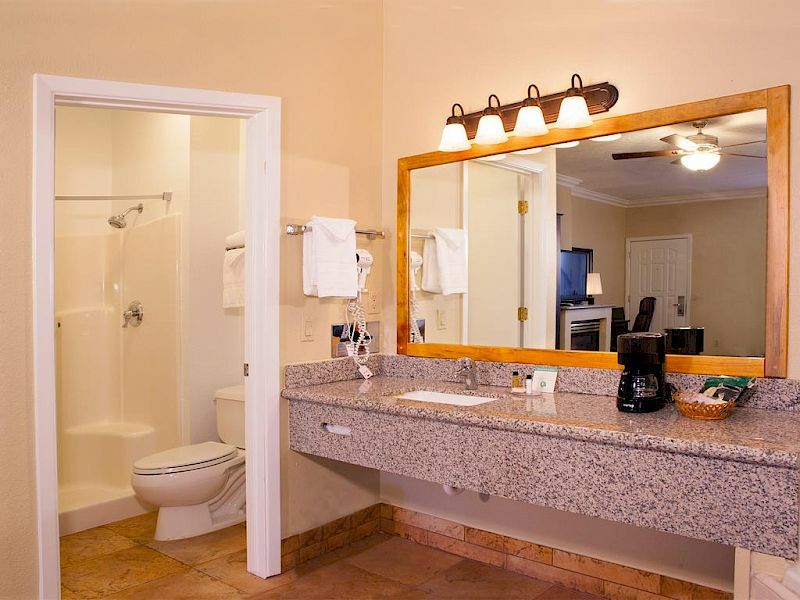 Room with a larger walk-in for a wheelchair, in-tub seats and grab bars in the bathroom.